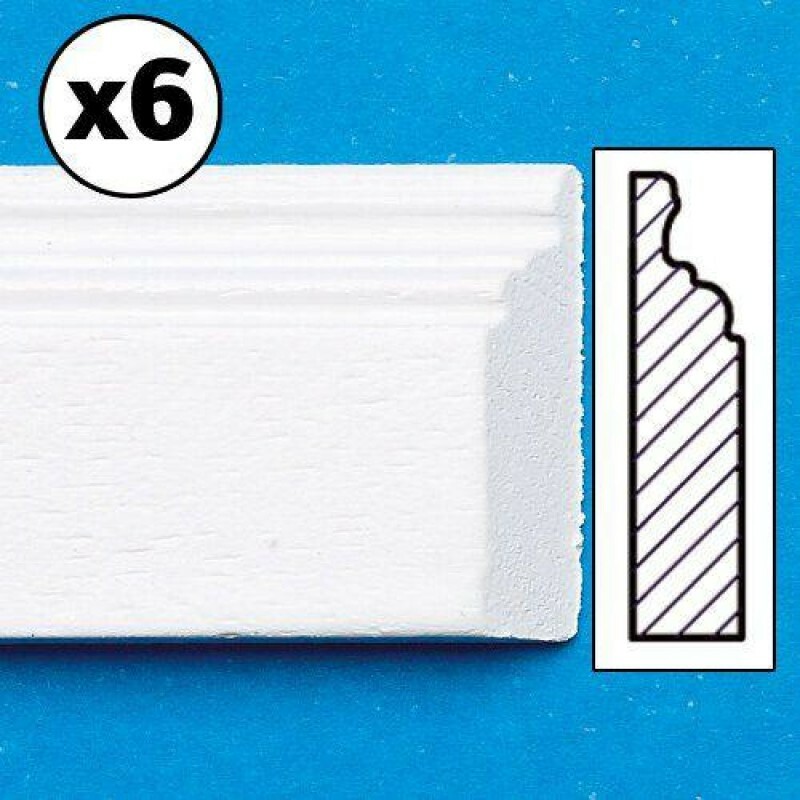 1" x 0" x 18"
White painted longer length skirting board, 6 pieces. The design can vary slightly from batch to batch when produced. Please ensure you order enough to cover as many rooms you need as we can not guarantee a match in future.